Is the Xbox One a game changer? At times like this, Week In Tech likes to quote the words of Christina Aguilera: "You are beautiful, no matter what they say." And what they've been saying about the Xbox One, is that it's U.G.L.Y. As Matt Swider reports, its design "puts the 'box' in Xbox". It couldn't be any more boxy if it were a box inside a box with a picture of a box drawn on it in the middle of a boxing ring. But what's in the box, doc? The answer is: lots. James Rivington has the details: "comes packing an x64 8-core AMD CPU, USB 3.0 ports, 500GB hard drive and 8GB DDR3 RAM. Connectivity-wise you've got 802.11n Wi-Fi with Wi-Fi Direct functionality for exchanging data between devices - specifically the new Xbox controller. There's also the addition of a Blu-ray drive, which marks Microsoft's first move to embrace the disc format created by Sony et al, which vanquished HD DVD back when TechRadar was but a glint in someone's eye." "The Xbox One has Kinect functionality built into its very core," Rivington says. "To turn the console on, you need only say the words "Xbox on" - the console is always listening." It doesn't require a living room the size of a football pitch any more, it can see in the dark and it can detect your heart rate. The sound you hear is horror game developers rubbing their hands in glee. Kinect will come to Windows too. Whenever a new bit of tech appears, the same question arises: is it an Orwellian spy tool? Apparently not, says Hugh Langley. 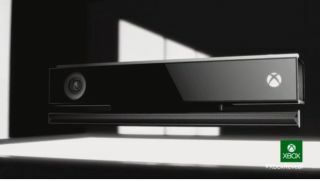 While Kinect constantly listens for your commands, it "won't always be spying on your living room activity". Microsoft promises complete privacy when you expect it. We've heard rumblings that the Xbox One wouldn't play pre-owned games, so there's good news and bad news on that front: you will be able to play pre-owned titles (but not Xbox 360 ones: it isn't backwards compatible), but you'll have to pay Microsoft for the privilege. As Langley explains, "you'll need to be signed into the Xbox account the game was activated on, according to Microsoft's Director of Programming Larry Hryb, or else you'll have to pay a fee to play." And what games will you be able to play? You'll be shocked - shocked! - to hear the words "Call of Duty", "Forza" and "Halo", although Remedy's Quantum Break looks interesting and we've got the footage to prove it. But games weren't really the focus: Microsoft wants the Xbox to be your all-in-one TV, something it's tried before with Windows Media Center and WebTV, and it's even roped in Steven Spielberg to make a Halo TV series. We're quite excited about that. The Xbox One isn't the only big console launch, of course: we've got Sony's PS4 to look forward to too. So which is better out of PS4 and Xbox One? Jeremy Laird and Matt Swider fired up their compare-o-meters. "As much as the two warring systems are different, the heart of the Xbox One and the PS4 remain very similar," they explain: "That's because they're both running x86 octa-core CPUs, and these eight-core processors are built by the same chipmaker, AMD." That's great news for AMD, because it's tempted Microsoft away from IBM's PowerPC and Sony from the Toshiba/IBM Cell. "Both console makers are also relying on AMD to design their next graphics processors" too. The Sony device has the faster RAM, but they're both heavyweight bits of kit. We can't wait to see what game developers do with them.